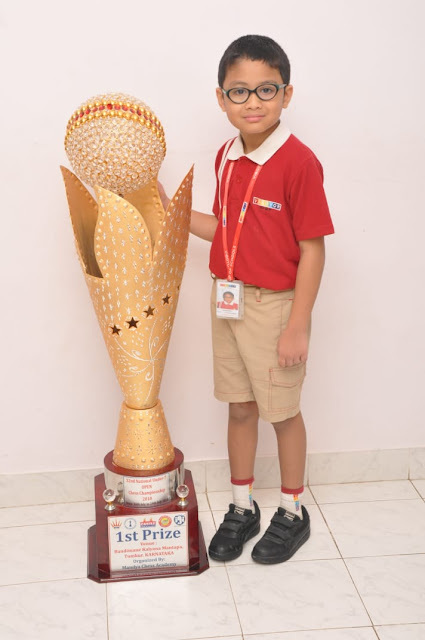 Bengaluru, 12th August 2018: Student of VIBGYOR High-Marathahalli, Bengaluru – Amogh Bisht proudly represented Karnataka at the prestigious ‘32nd Under 7 National Chess Tournament 2018’ held at Tumkur, Karnataka. The tournament witnessed participation of 362 players (214 boys and 148 girls) and about 600 parents from different states of India. 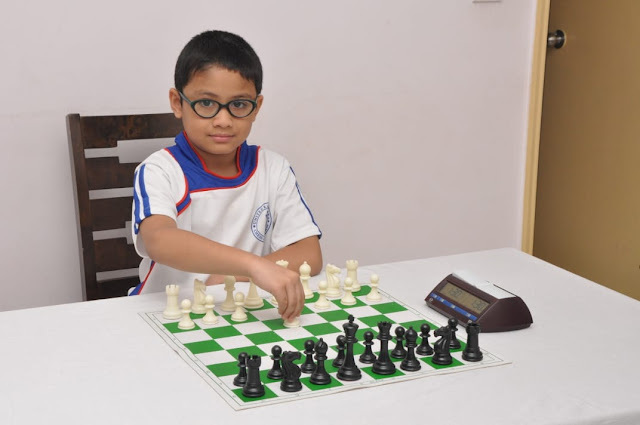 Amogh scored 9.5 points out of 11 rounds and finished with a half point lead after some scintillating games against his opponents making it interesting and challenging. 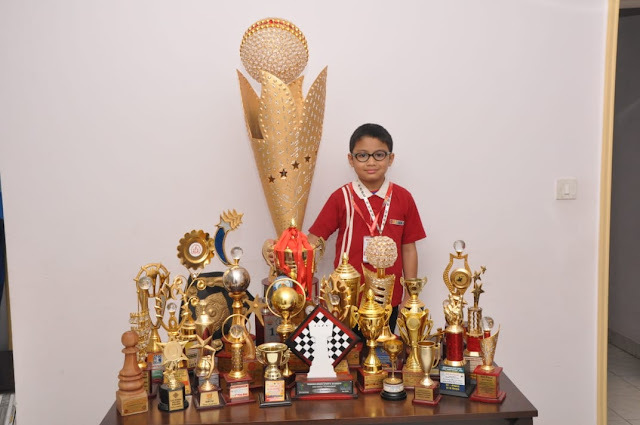 This super talented young chess player will also be participating at the Asian and World chess championships in 2019 in addition to various State, National and International rating tournaments. It is always a treat to watch kids playing chess as most of their games last till the very last word "Checkmate" and this mega event was no different. Founded in 2004, VIBGYOR Group of Schools recognised as India’s Most Admired Brands in Education 2017, is a leading chain of Schools known for its quality education and academic excellence. The VIBGYOR Schools offer a unique range of world class educational services for the holistic development of students in curricular and co-curricular studies. Under the leadership of Mr. Rustom Kerawalla, Founder Chairman of the institution, VIBGYOR Group is set to explore new horizons with 29 schools in seven major cities, reaching out to more than 42,000 students nationwide. VIBGYOR High caters to the students from Grade 1 to Grade 12, and VIBGYOR Kids to the pre-primary segment with a student-teacher ratio of 10:1 on an average. VIBGYOR Group’s recent addition is a chain of schools offering CBSE Board curriculum- VIBGYOR Roots (pre-primary division) and VIBGYOR Rise (a Primary and Secondary School) which will address the increasing demand for educational institutions and impart quality education with a wider outreach. VIBGYOR High provides a mixed spectrum of national and international levels of education in affiliation with CISCE, CBSE and CAIE. A diverse experiential and integrated learning programme is the key highlight of VIBGYOR’s curriculum. The Group has been consistently nurturing young talent, guiding students towards bigger platforms. Aditya Mittal, who received the ‘National Child Award for Exceptional Achievement 2016’ from the Hon’ble President of India and Sejal Anand Shah who became the World Topper for Environmental Management in CAIE are some of our illustrious students, among many others.